Any animal owner knows just how persistent, persuasive and downright sneaky our pets can be when they’re trying to get some extra snacks. But don’t let them get away with it – some foods just aren’t made for pets! You may remember an article RSPCA NSW posted a few weeks ago about festive foods you shouldn’t let your pet eat. But Christmas isn’t the only time there are treats around that your furry friend shouldn’t have. Here are a few more foods that strictly aren’t for animals. Some pet foods and treats do contain small quantities of chives and garlic, so should not cause a problem. However, animals definitely shouldn’t eat these foods in large amounts, as they can cause gastrointestinal irritation and red blood cell damage. The fruit, leaves, peel, seeds and stems of citrus plants all contain citric acid in varying amounts. While small amounts will probably just cause a minor stomach upset, large amounts can cause diarrhoea, irritation, vomiting, or even central nervous system depression. 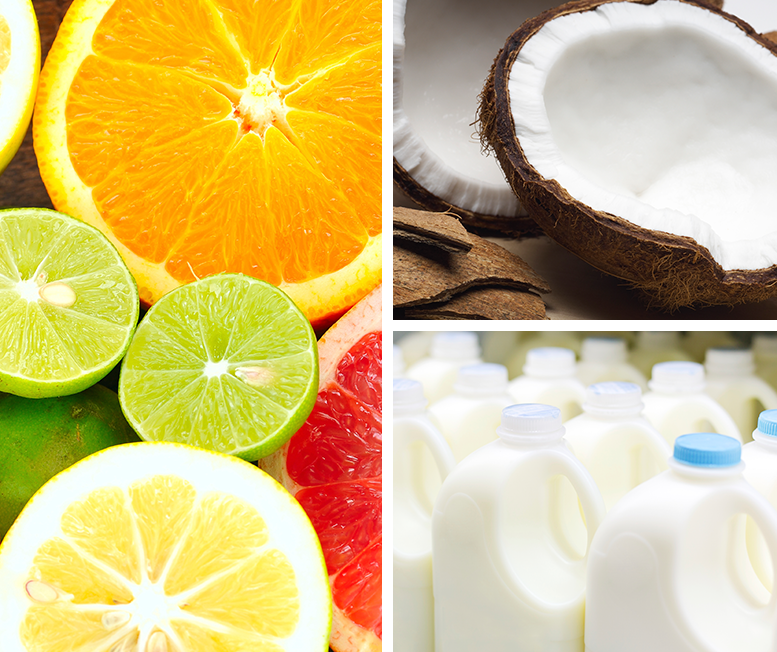 Fruits to avoid include grapefruits, lemons, limes and oranges. Small amounts of coconut and coconut-based products should not cause serious harm to pets. However, the flesh and milk of fresh coconuts contain oils, which can cause diarrhoea, loose stools and stomach upsets. Because the high level of potassium in coconut water, pets should not consume this either. Many people think kittens and puppies should drink milk. In fact, cow’s milk is definitely something they shouldn’t have, as both cats and dogs are lactose intolerant. Drinking it can cause cramps, diarrhoea and digestive upset. If you wouldn’t eat it, don’t let your pet eat it either! Any kind of mouldy food is really bad for pets, so it’s really important to keep them away from the rubbish or compost bin. The mycotoxins in mouldy food can cause convulsions, muscle tremors and weakness. Some dogs can have aspiration during the convulsions, which can lead to death. 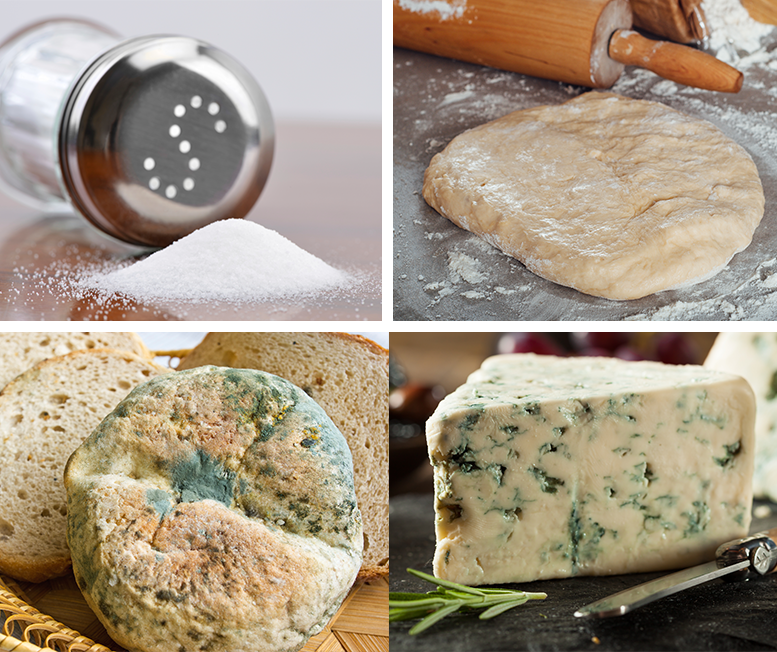 Please note that while humans can eat some types of mould, such as the type contained in blue cheese, animals cannot. If your pet eats raw dough, the yeast can rise, causing gas in his digestive system. Not only can this be painful, it can rupture his intestines or stomach. Animals can eat cooked dough, as once the yeast has risen fully, there’s less risk of this happening. However, don’t go carb-crazy: your pet should only have small bits of bread as a treat. Just like us humans, animals who consume too much salt can suffer from excessive thirst and urination. Consuming large amounts of salt can cause sodium ion poisoning, and your pet could experience depression, diarrhoea, an elevated body temperature, seizures, tremors, vomiting, and even death. If your pet eats anything she shouldn’t have done, or displays any of the side effects listed above, RSPCA NSW advises taking her to one of our veterinary hospitals across New South Wales or to your local veterinarian as quickly as possible. Want to find out what foods you should be feeding your pet? Click here. For more information about preservatives in pet food, and what to look out for,click here.